A stay at Hilton Garden Inn Elko places you in the heart of Elko, within a 5-minute drive of Northeastern Nevada Museum and Elko Area Chamber of Commerce Visitor Center. 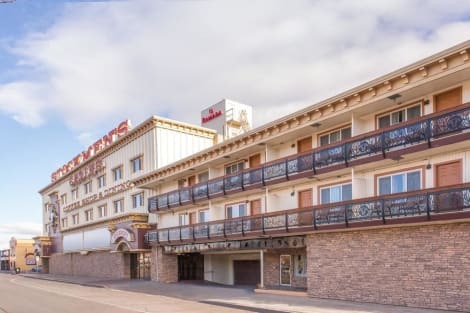 This hotel is 1.3 mi (2.1 km) from Elko Convention Center and 1.9 mi (3.1 km) from Elko County Fairgrounds. Featured amenities include a 24-hour business center, complimentary newspapers in the lobby, and dry cleaning/laundry services. Planning an event in Elko? This hotel has facilities measuring 3000 square feet (279 square meters), including conference space. A roundtrip airport shuttle is complimentary (available 24 hours).